The greatest hurdle in developing effective treatments for TBI lies in the varied and dynamic pathophysiology and incomplete understanding of factors leading to poor outcome. Recent research published in the New England Journal of Medicine1 adds new Class I evidence to the literature regarding treatment of complex cases of traumatic brain injury (TBI). The study, led by Peter J. Hutchinson, PhD, FRCS (SN), of the University of Cambridge, enrolled 408 patients with TBI aged 10-65 years with refractory intracranial hypertension (intracranial pressure >20 mmHg despite tiered therapy). Patients were randomized to receive either decompressive craniectomy or aggressive medical management, with the primary outcome measured using the Extended Glasgow Outcome Scale (GOS-E) at 6 months. The results showed a significant difference between outcomes in medical vs surgical arms, estimating an increase of 22 survivors per 100 surgeries with only 8 of the additional survivors having GOS-E > 4. In other words, of the additional survivors in the surgical arm, more than half required around the clock care, with one-third achieving a vegetative state. In an accompanying editorial,2 Lori Shutter, MD and Shelly Timmons, MD, PhD highlighted the incremental value of the RESCUEicp data in furthering the understanding of effective management in an area where limited Level I data currently exists.3 They emphasized that the data shows decompressive craniectomy can help reduce refractory intracranial hypertension which is often not controlled fully by medical measures, but questioned to what end? After considering issues of expected quality of life after neurologic injury, the authors called for more investigation to identify those who would most benefit from surgical management. TBI represents a heterogeneous disease entity which is often complicated and proven difficult to study. The most current guidelines3 published this year acknowledge the multifactorial nature of injury, treatment, and outcome, calling for novel approaches in research design and guideline development. As part of this new approach, the Brain Trauma Foundation has adopted a model of continuous revision of guidelines, with an anticipated update after the results of RESCUEicp have been analyzed. Currently, early bicoronal craniectomies are not recommended to improve outcomes. Likely, decompressive craniectomy for refractory traumatic intracranial hypertension cannot be recommended for routine use in severely traumatized brains until a sub-group of TBI patients who are likely to benefit from such a procedure can be identified. In RESCUEicp, patients with intracranial hypertension from mass effect and from diffuse injury were recruited. Admittedly, mass lesions were the minority; however it would be difficult to assert that these patients are not fundamentally different in their pathophysiology for intracranial hypertension and are likely to have differential benefit to surgical decompression. In the same vein, prognosis could be greatly altered by episodes of hypoxemia, hypotension, and neurologic exam; information that could potentially differentiate patients for whom surgery can improve outcomes. Predicting prognosis in TBI itself is an inexact science limited by our knowledge of pathophysiology.4 Developing models based on biomarkers5 and clinical data may be another avenue of categorizing TBI patients that may benefit from aggressive therapy. As we have seen in malignant stroke and intracranial hemorrhage, careful selection of surgical candidates can have an impact on neurologic recovery and quality of life. 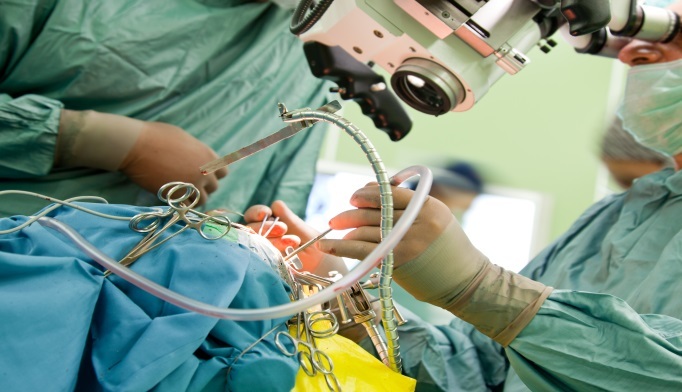 A certain percentage of RESCUEicp patients benefitted greatly from surgery, but with current data, the benefits of surgery on all patients with refractory traumatic intracranial hypertension do not seem to outweigh the risks or the costs to society. There is much left to be learned about the interactions of a myriad of variables in TBI patients and how they can be analyzed and leveraged to individualize the package of therapies that may improve neurologic recovery and outcome. Hutchinson PJ, Kolias AG, Timofeev IS, et al. Trial of Decompressive Craniectomy for Traumatic Intracranial Hypertension. N Engl J Med. 2016; doi:10.1056/NEJMoa1605215. Shutter LA, Timmons SD. Intracranial Pressure Rescued by Decompressive Surgery after Traumatic Brain Injury. N Engl J Med. 2016; doi:10.1056/NEJMe1609722. Carney N, Totten AM, Oʼreilly C, et al. Guidelines for the Management of Severe Traumatic Brain Injury, Fourth Edition. Neurosurgery. 2016; doi:10.1227/NEU.0000000000001432. Perel P, Edwards P, Wentz R, Roberts I. Systematic review of prognostic models in traumatic brain injury. BMC Med Inform Decis Mak. 2006;6:38. doi:10.1186/1472-6947-6-38. Toman E, Harrisson S, Belli T. Biomarkers in traumatic brain injury: a review. J R Army Med Corps. 2016;162(2):103-108. doi:10.1136/jramc-2015-000517. Can Deep Brain Stimulation Improve Deficits From Traumatic Brain Injury?